Get ready for it.... Friday and Saturday your students will be indulging in all things Halloween. So, what do you do when they come back a little bummed after their candy crash? Maybe you just want to forget Halloween even happened and move on? NOT ME! 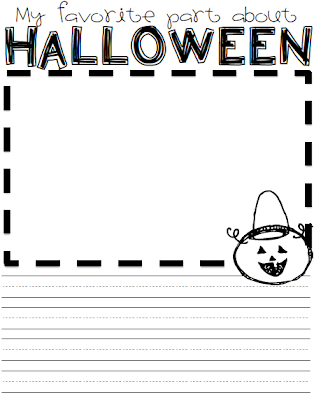 I love to let my students WRITE about what they did on Halloween. This will be a quick, fun drawing activity. Then, we'll share our pages in small groups because you know your students are dying to talk about what they did the night before. I'm loving the Hello Fonts, Moffatt Frames and KPM Doodles! Hope you survive the rest of this week! :) It'll be over before you know it! I cannot believe it is the end of October already? Where is the year going? 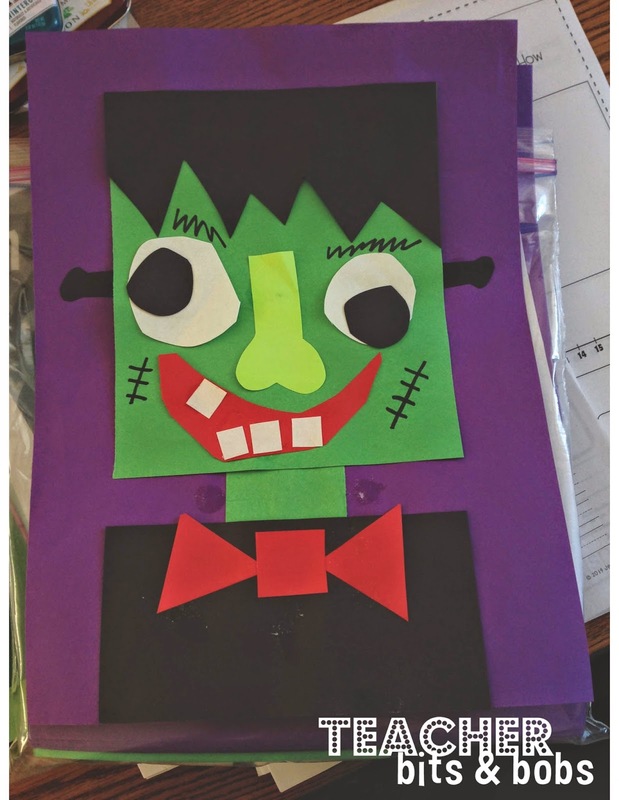 Last week, I got a bee in my bonnet after seeing some fabulous Frankenstein art projects all over Pinterest, so I decided to make this week Frankenstein week in my classroom. 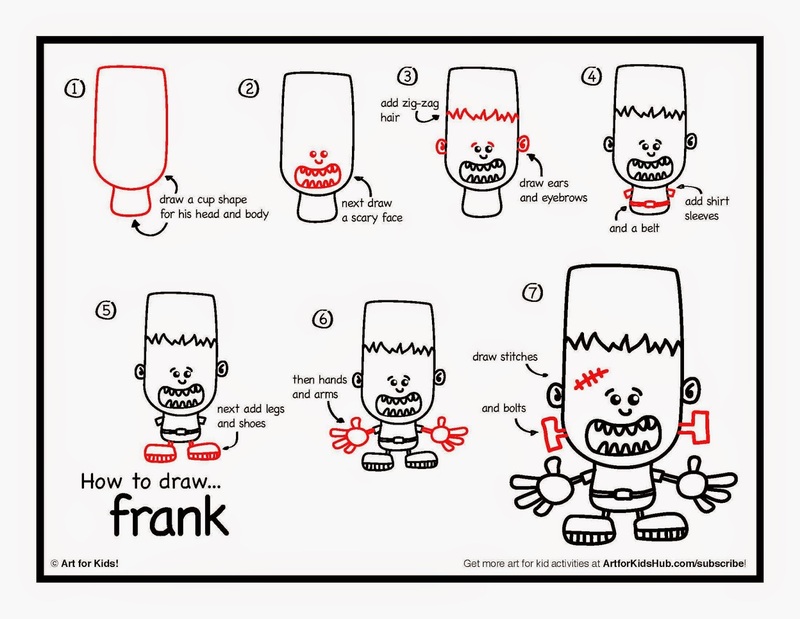 We will be reading all sorts of Frankie books, doing some Frankie math, learning how to draw Frank and write about him, and making a really fun Frankenstein art project too. 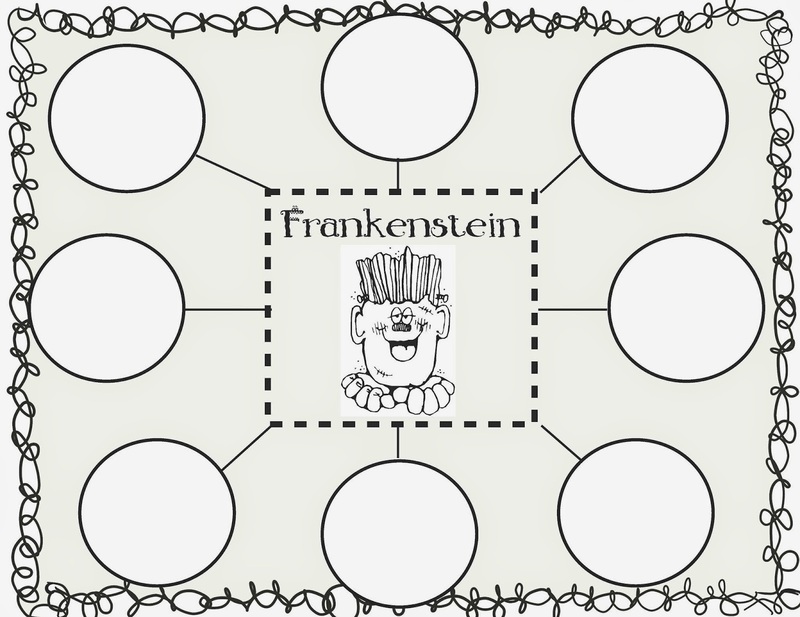 I have GOBS of Franken-fun to share with you...let's get started!! and make sure to check out my yearlong pack by clicking the picture below. 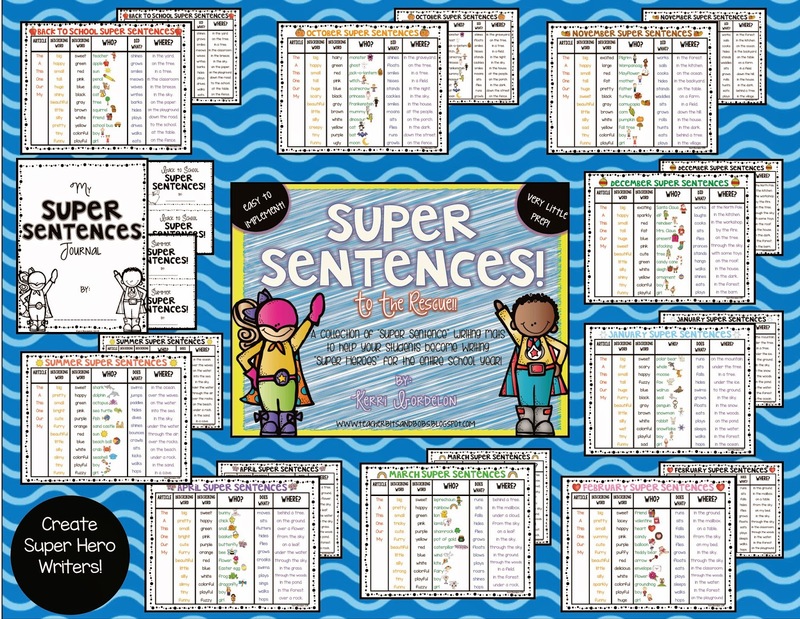 Your kids will become Super writers by using this pack, I promise you! I also found this AWESOME website called Art for Kids! that has a step-draw Frankenstein!! Click the picture below to go to his website. It is AMAZING!! There are literally HUNDREDS of videos and step draw printables teaching kids to draw all sorts of cool stuff! Alrighty Peeps!! That's all I got tonight for ya! 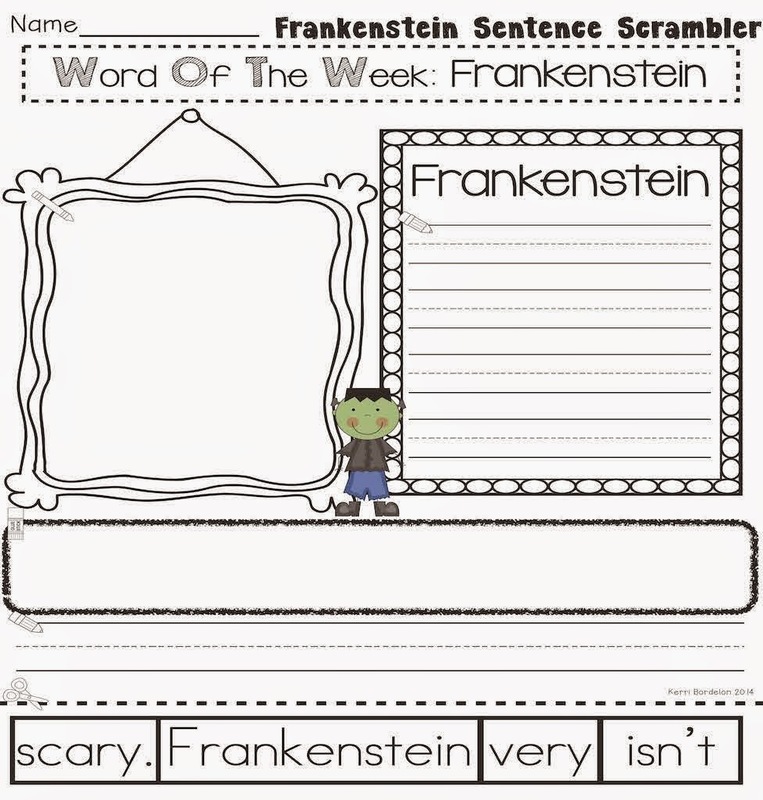 Hope you LOVE all the Frankenstein freebies! 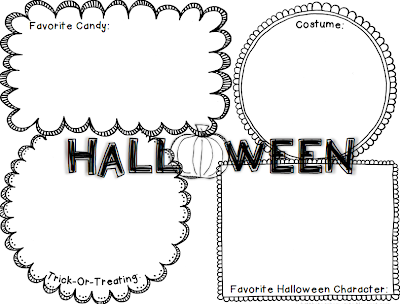 I cannot wait to do them all with my kidlets this week!! Hey Peeps! It's Traci from Dragonflies in First here. Things have been very hectic at work over the last couple weeks due to conferences. It seems like a perfect time to share a popular post I shared on my blog last year - all about keeping things simple and lightening your stress load. Desert 5 ways?! Yes please. 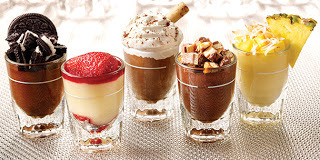 Now this post is going to be a little disappointing because it has nothing to do with several ways to do dessert. Or anything delicious for that matter. 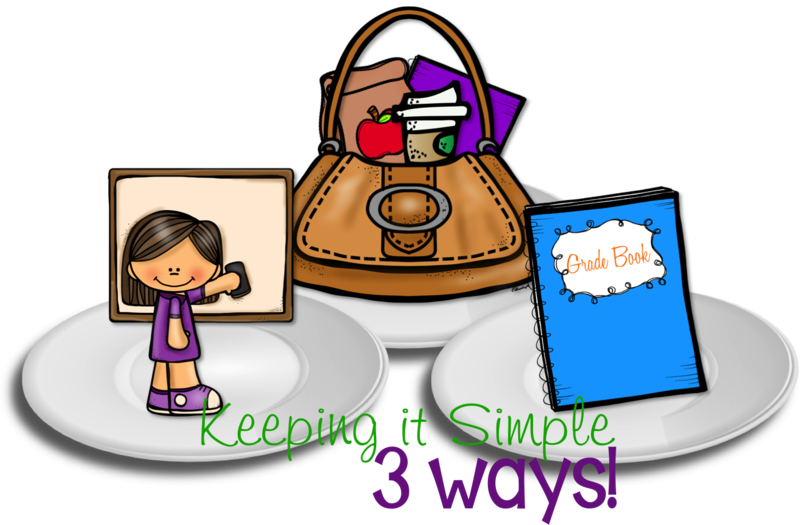 But I do have 3 keeping it simple in your classroom ideas to share with you. How many times have you carted the same stuff back and forth to work? How bad does your shoulder hurt from carrying that heavy bag? I don't use a bag. I walk to and from work. 2 miles each way! And, going home is ALL uphill. Doing that walk with a heavy bag is just not fun at all. So here's what I do so that I don't have to worry about carrying a bag. DIGITAL STORAGE: No reason to carry a computer back and forth. I save things I will need both at home and work in DropBox or Google Drive. I've made sure that the computer I use at work and the computer I use at home have the same fonts installed so I never have to worry about my documents not looking right. PLAN & PRIORITIZE your SIDE WORK: Each week I plan WHEN I will do all those extras that end up taking so much extra time and so often used to end up going home with me after work. A to do list is a lifesaver, but it has to be attainable. I am now very realistic with myself. I make a doable list that is prioritized with the most imperative things at the top. If I don't get to the bottom items, I move them to the next bit of prep-time that I have. I do not let myself take anything home unless it is something that must URGENTLY be done by the next day. I've said this before - but it's worth repeating - PLAN AHEAD. Copy and plan a month ahead. Set aside one day a month to plan for the following month. You will be thankful for the extra time you spent that ONE DAY for an entire month... AND you won't have to cart things back and forth between work and home. JANITOR - Dismisses students who have cleaned up their area to line up and selects 2 friends to help him/her empty the trashcans at the end of the day into the "big cans"
MESSENGER - Takes anything that needs to be delivered elsewhere (usually chooses a friend to go with him/her), puts papers into cubbies (again with a friend), and runs the pledge, calendar and morning sight word reading. LINE LEADER - Besides the obvious, the line leader is also in charge of making sure centers are clean and orderly at the end of each day. These jobs last a whole week. 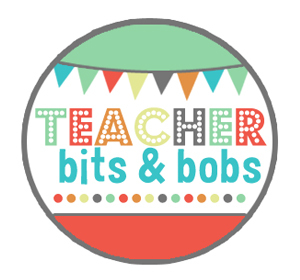 With 30 kiddos, each child has a turn at doing all 3 jobs before the year ends. This is a piece of scrapbook paper, trimmed slightly and glued to another piece of black scrapbook paper. On that I glued 3 black circles with the job names on them. 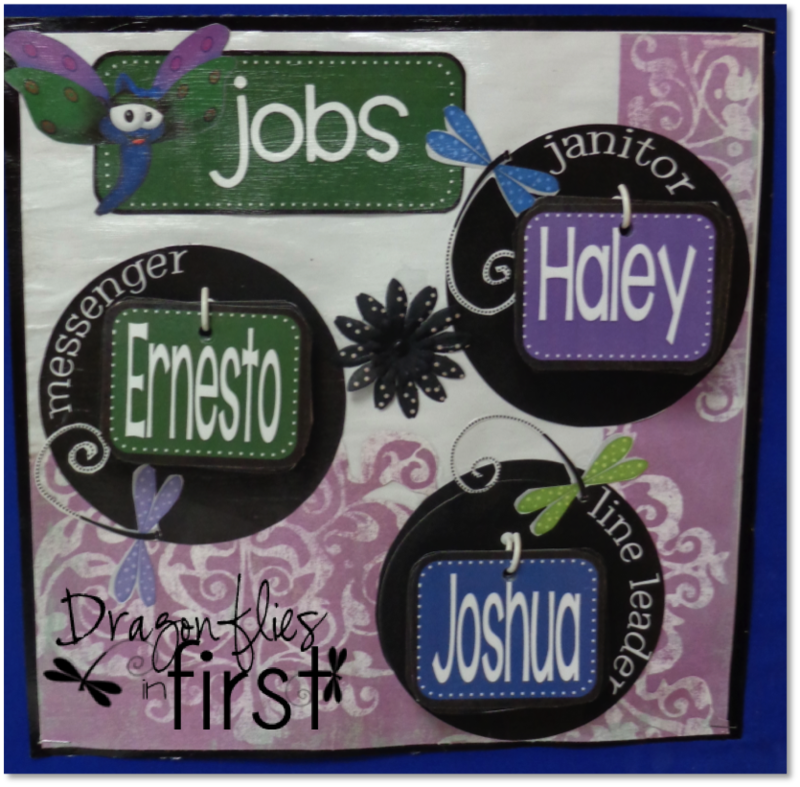 (These jobs cards are part of the Basic Black Labels FREEBIE in my Fan Freebie tab on my Facebook page.) Then I laminated it. After stapling it to the wall I screwed 3 cup hooks through it. Then I put 10 name cards on each hook. Each week, I rotate the card in the front, to the back. After I've gone through all of the names, I rote the entire stack of cards clockwise and start again. When we "grade" things - the kiddos are usually the ones giving me the answer, not the other way around. AND they cannot just tell me the correct answer. They must give the answer in a complete sentence that includes the word "because". EXAMPLE: "(b) cat is the correct answer because (a) boy is not an animal and (c) dog is not an animal that says meow"
So there you have it. It's not dessert. But a simplified work week is almost as good as dessert. What are your favorite things to do that SIMPLIFY your work day? Hello!! This is Kacey from Doodle Bugs Teaching. I LOVE LOVE LOVE LOVE October and Halloween! And, even though I don’t like the taste of candy corn- they sure are cute! So, why not make some Candy Corn Guys for fun with your students. This Candy Corn Guy is a free download with all the patterns for you to make them. They are super easy and really cute. 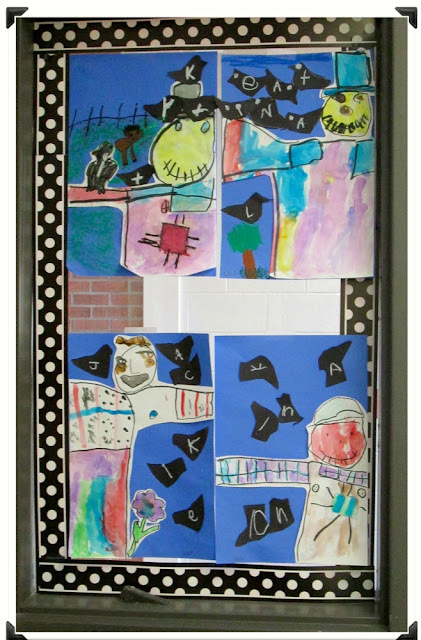 It took my first graders about 45 minutes to make these from start to finish. This included all the cutting and gluing. What a truly HAPPY HAPPY HAPPY sight! Love these! They made an adorable display that we will enjoy all month! This is Cindy from Kinderkay Love Those Kinders. 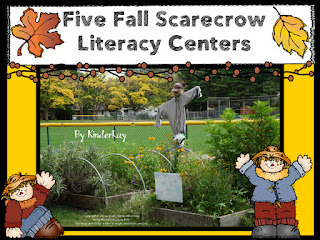 I thought I would share with you a few scarecrow activities and projects. We had some fun this week creating paper scarecrows and then writing about them. 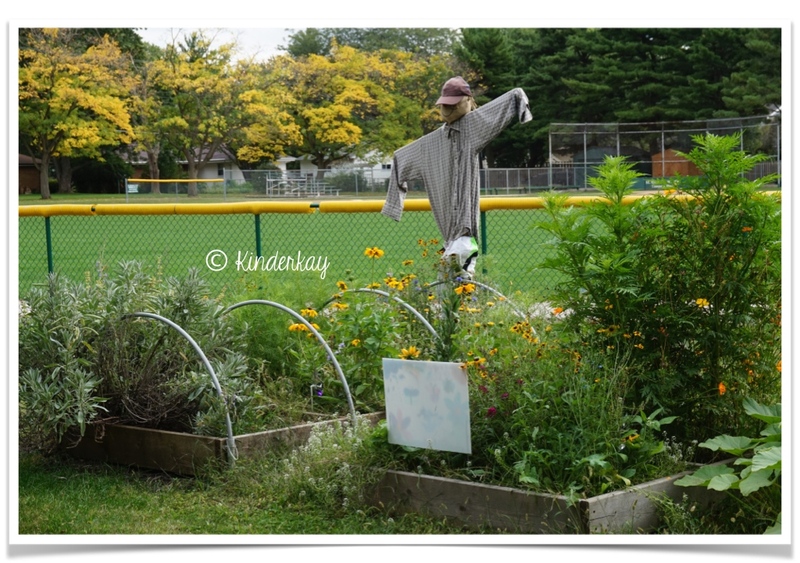 I am lucky at my school to be able to have a garden with a REAL scarecrow. I took my students out to the garden and using our senses we discussed what the scarecrow might see, hear, and smell. We then went inside and wrote about it. 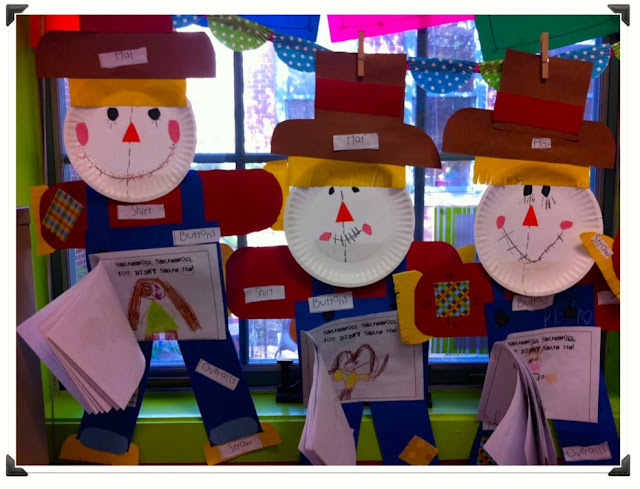 The kids also followed step by step directions to create these cute paper scarecrows. 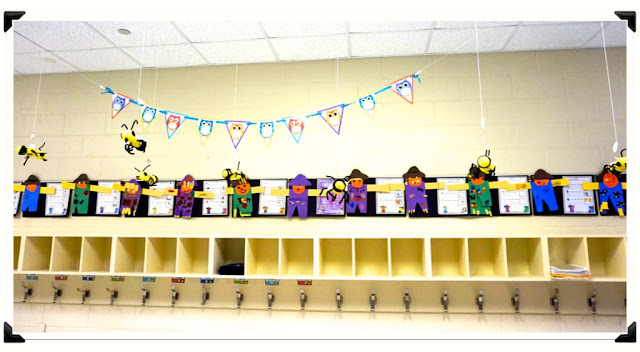 I hung them in the hall for a cute Fall display! 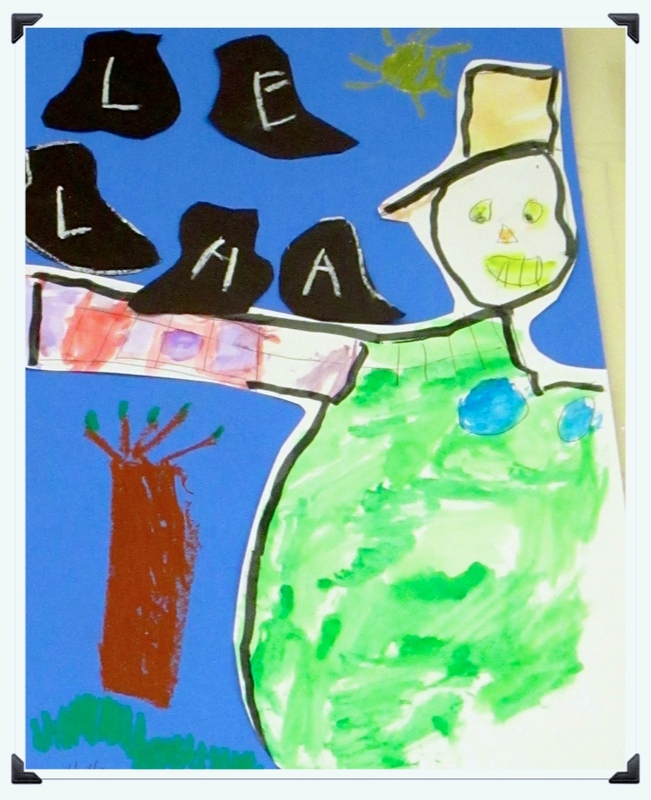 Another fun scarecrow project that I like to do each Fall is a scarecrow directed drawing/painting activity. This is not my original idea. I found it a few years ago on Pinterest, but when I searched for the link, it had changed since I last pinned it. The site can be found HERE if you would like to do a search. The kids first sketched their scarecrow with its arm stretching out. 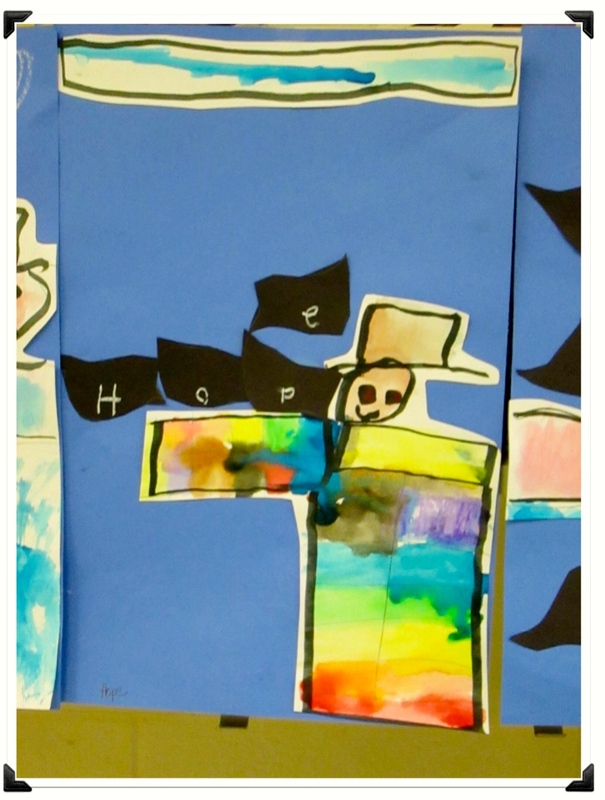 We discussed how we were not drawing the WHOLE scarecrow; just PART of it. 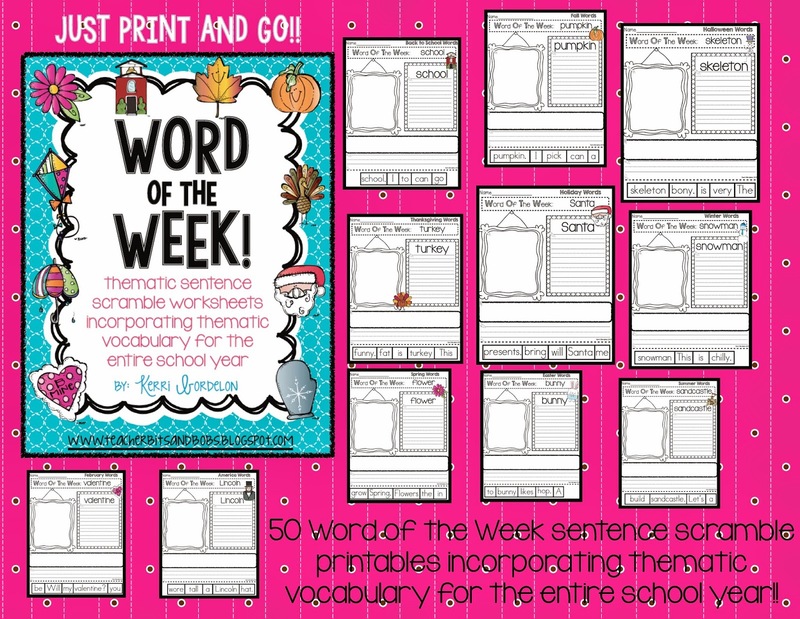 (Great for teaching PART and WHOLE). They sketched with pencil and used a black Sharpie to trace over their pencil lines. 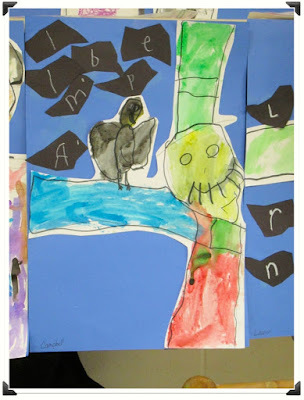 After tracing, they used watercolors to paint it. We let it dry and THEN, they carefully cut around the black lines on their scarecrow and glued it to blue background paper. They made paper crows and wrote one letter of their name on each crow with white crayon. They really turned out striking when they were complete! 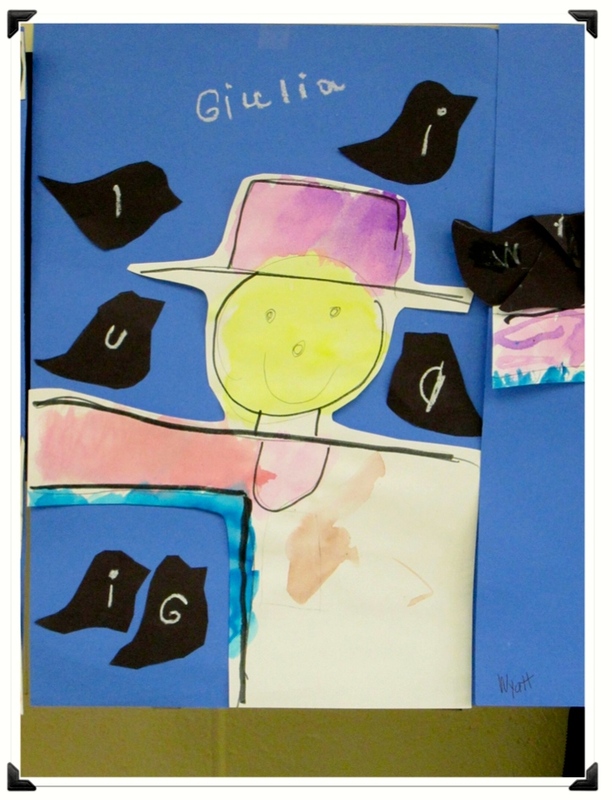 This scarecrow literacy game is a fun way to count words in sentences. Even if kids cannot read the words, they can count them and that number is used to move around the board. 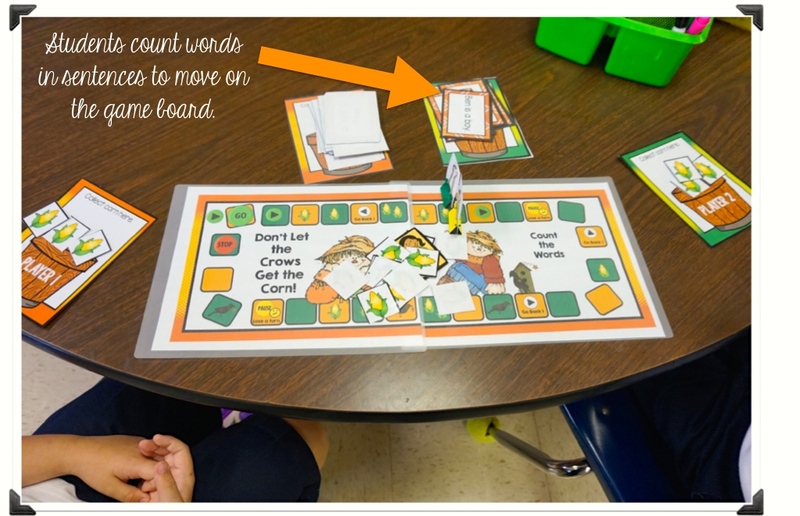 Kids collect corn as they progress through the gameboard "field" and try to NOT let the crows take their corn! 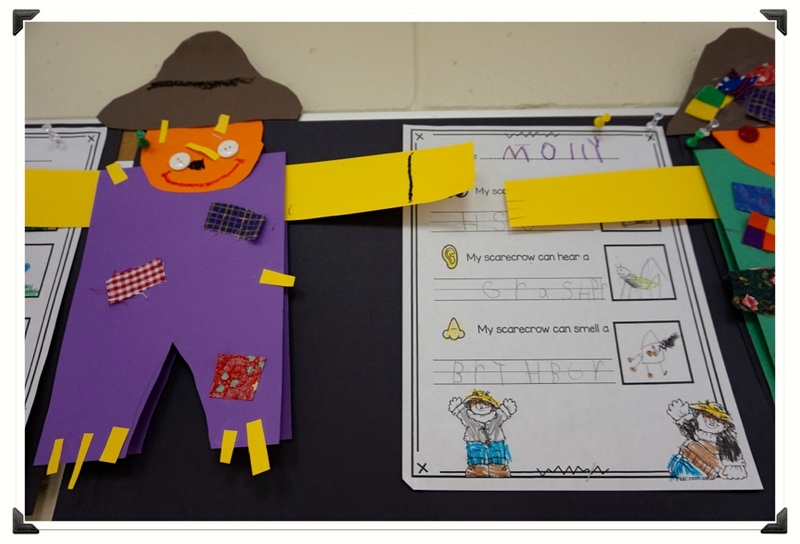 I like to tie our Living/Non Living unit into our scarecrow unit. 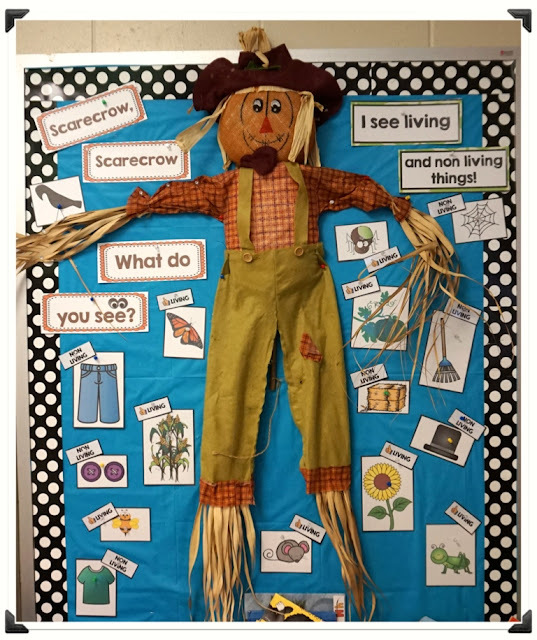 We did this fun Scarecrow Living and Non Living activity on our classroom bulletin board. 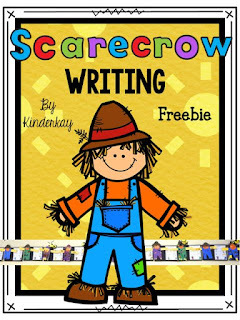 You can find a TON of scarecrow activities from Deanna Jump if you click the picture below. 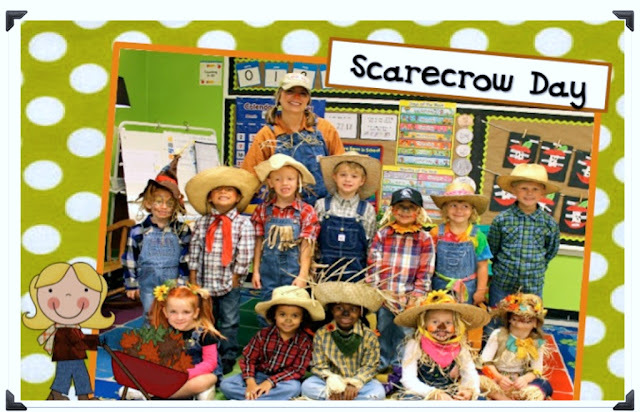 These scarecrows are ADORABLE! 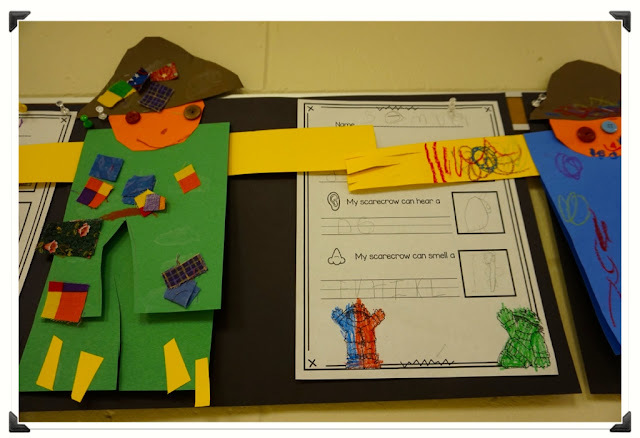 Hang on my friends........ You also can find MORE adorable scarecrow activities from Erin at Eberhart's Explorers.... Cute, cute ideas! 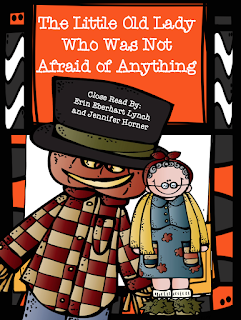 Erin also has a close read resource for "The Little Old Lady Who Was Not Afraid of Anything" which you can find by clicking the image below. 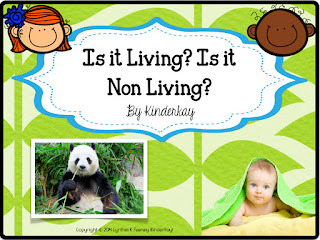 I just started using this resource today and am so excited to try it out with my kinders!